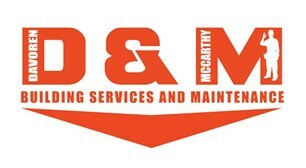 D&M Building Services & Maintenance Ltd are a reliable and professional company specialising in the installation and maintenance of air conditioning. We have been providing high quality commercial and domestic air conditioning installation services in London for over 25 years. We pride ourselves on the service we deliver and work to the highest specifications to make sure our customers get the best value for their money. Our experts take the time to understand each client’s needs on an individual basis to help us offer advice on the best air conditioning and cooling systems to meet your needs. What’s more, we treat every domestic and commercial customer with the care and consideration they deserve, no matter how big or small the job. We know that functional air conditioning can be essential to many businesses and that substandard or broken air cooling systems can interfere with work, dissuade custom and in some cases, even breach health and safety regulations, putting people at risk. Air conditioning maintenance is therefore essential. Our air conditioning specialists offer a full range of after-care services for current and new customers including full services, repairs and 24/7 emergency callouts. We aim to deliver complete customer satisfaction. If you would like to find out more about the broad range of services offered by our air conditioning specialists please contact us today to discuss your requirements. Our advisors will be happy to give you a free, no-obligation quote.